If you frequently play outdoor basketball, you must be spending quite a lot on footwear. The good news is that you really don’t have to spend a fortune on footgear for the love of the game. Most basketball shoes on the market today are made for indoor use and hardly last long on tough outdoor courts. That’s why it’s important to invest in the best outdoor basketball shoes that can withstand the abuse of playing on asphalt surfaces unless you don’t have a problem paying for new basketball shoes every other month. With the right pair, you can deliver your best performance whether on rough asphalt or tough concrete surfaces. So, how do you find the perfect footwear for outdoor basketball? Read on to learn more about the right footgear to tackle tough outdoor basketball courts. Before we reveal all the details of our favorite products, check out the table below for a quick look at your best options. For the full story on our favorites, don’t miss our in-depth reviews below. 2.1 What Type of Basketball Player are You? 2.2 What is the Difference Between Outdoor and Indoor Basketball Shoes? 4 How About the Shoe’s Closure System? In the following section, we’ll discuss 10 outdoor basketball shoes 2019 on the market today. The sneakers we have reviewed below vary in price and features, which should give you an easier time to choose one that suits your budget and playing needs. This is the third generation of Nike’s Kyrie Irving basketball sneakers. Most reviewers talk highly of its fair price, great traction, and attractive yet tough looks. It is a light shoe best suited for fast guards who place a lot of emphasis on great traction on rough surfaces and impact protection. 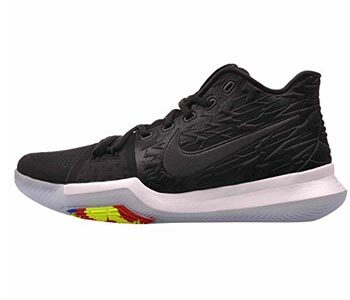 Both the outsole and upper are made of strong, durable materials that can handle every type of court. With advanced traction, lightweight cushioning, and zoned support, the shoe holds up pretty well in outdoor courts. The only downside of this shoe is lack of cushioning but it still feels comfortable and stable. The KT2 2017 is ANTA’s second signature basketball shoe. Most users agree that it performs better than expected. The best part of this basketball shoe is its herringbone pattern on the outsole that provides maximum grip and traction. It uses ANTA EVA foam for comfort and stability. The shoe is a perfect choice for outdoor basketball players. It is pretty obvious how the iconic Chicago point guard, Derrick Rose, reigns over any game at any time. 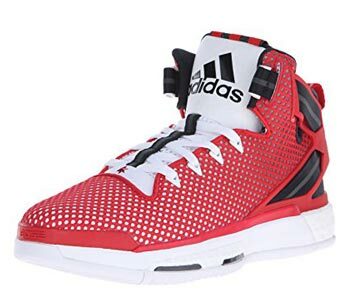 The Adidas Men’s D Rose 6 basketball shoes are designed for players with the same high octane style as D-Rose. In terms of traction, Adidas has outperformed this time with a tight although shallower design similar to the 2015 Hoops line up. As some players would say, this shoe’s traction is simply the beast. The cushion is perfect, as you would expect from Boost technology. The forefoot section is unlocked to help you play twice harder. There are more reasons why we ranked these kicks among the best adidas basketball shoes. For instance, they have a perfect fit that’s true to your size and provide plenty of support features such as stabilizing Boost foam, Stable Frame, and torsion support from their X-Bar system. Overall, the D Rose 6 is the ultimate monster on an outdoor court. It’s just the right pair for hopers and your explosive plays. If you prefer a more prime knit upper, you could go the Adidas D Rose 6 Boost PrimeKnit which is exactly the same as the Performance D Rose 6 except for the upper. The PrimeKnit version comes with a removable insole and a translucent “iced” outsole, which is not actually a major performance factor but an anesthetic addition. An advanced lacing system that reduces pressure on the shoe laces to keep your feet secured inside the shoe while playing. 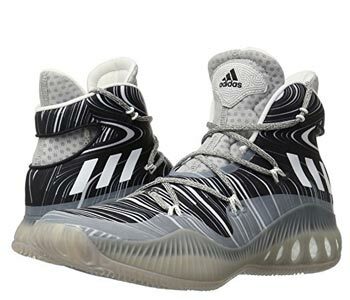 In the same price and features range as the D Rose 6 discussed above, is the Crazy Explosive, still from Adidas. The Crazy Explosive are some of the best outdoor basketball shoes built using energy-returning Boost technology to give you an added lift as you jump your shots. The Xeno upper and advanced lacing system significantly helps to reduce breakage. The outsole provides perfect traction while the midsole has a stable frame underneath to give you maximum stability and support. The Adidas Crazy Explosive fits nicely, true to your size although it may seem a bit narrow for those with wide feet. The upper is constructed using Adidas PrimeKnit technology and Geofit bootie underneath. The shoe has a unique and reliable anatomical lacing system to give your feet a secure snug fit while you play hard. Nike Zoom Hyperrev 2015 basketball shoe is another great option. This is a mid-top pair of outdoor basketball sneakers that provides optimal stability and the most responsive cushioning for comfort and high performance on hard surfaces. It is a lightweight pair of basketball sneakers capable of giving you totally tubular performance. 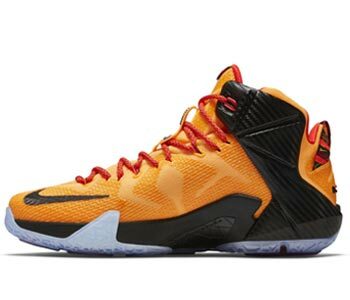 In comparison to the popular Lebron Soldier IX, Nike has really upped its game with the 2015 Zoom Hperrev. The outsole is made from pliable rubber with a good floor grip. The cushioning is Zoom Air, of course. The Nike proprietary cushioning technology has never disappointed – always comfortable and has a nice soft feel. 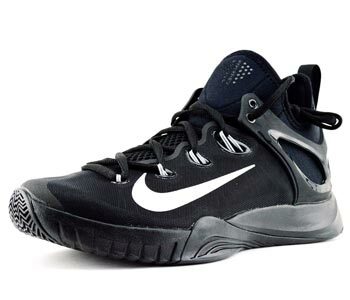 For those who prefer an asymmetrical U-throat style supporting fast movements, you could go for the Nike Men’s Hyperchase, which is in almost the same price range and with similar features as the 2015 Zoom Hyperrev. If you seek more color options, then the Nike Prime Hype DF II is a good choice with a wide range of 27 different colors. However, the Prime Hype DF II is a high top basketball shoe version with a higher price tag. Overall, the Nike Zoom Hyperrev 2015 is a gorgeous pair of basketball shoes strong enough to tackle the demands of an outdoor court. It has an appealing design and a snug secure fit. A strong non-marking rubber outsole to tackle the hard surface of an outdoor basketball court. 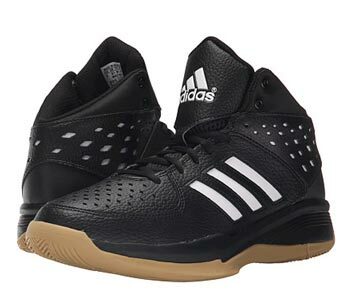 Similar to the above mentioned Adidas outdoor basketball shoes but available at a lower cost is the Men’s Court Fury Adidas version. It is a high top shoe featuring a textile and synthetic upper which is not only durable but perforated for added breathability too. The strong upper material provides you with great stability and perfect ankle support. Similar to the Adidas D Rose 6 and the Crazy Explosive versions, the Court Fury has a clean and classic style although its color options are rather conservative. They come in 9 different color combinations, which make it easier to find a combination that suits your taste. If you are looking for cheap outdoor basketball shoes, you could also look at the Adidas Performance Men’s Outrival 2 shoe. It is similarly priced as the Court Fury and even features a collar fit for enhanced comfort. 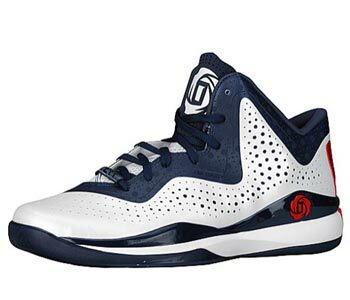 The Adidas D Rose 773 III comes with a lower price tag than the two D Rose versions covered above but with almost similar features and specs. 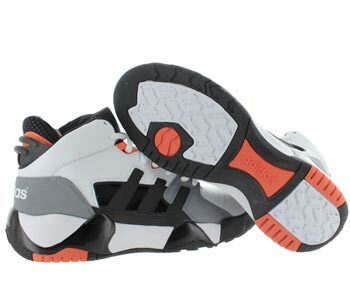 It is a high top basketball shoe designed for any basketball position. It provides great flexibility for point guards and excellent support for other game positions. The shoe has great traction despite the rather shallow grooves. For their price, this pair of cheap outdoor basketball shoes is only rivaled by the Adidas Performance Isolation 2 which comes at almost the same price and good ankle support. However, the Isolation 2 is available in 3 color combinations only while the D Rose 773 III comes in 26 colors. Overall, at its price, the D Rose 773 III provides great value for money. Many of the Nike shoes that you find on this list have been designed for skillful play or speed. These shoes have been designed to help you dunk. the Nike Hyperdunk is worth checking out. it can be tough for many basketball players to forget the original ‘Street Basketball Shoe’. Thankfully, Adidas realized just how good these shoes were, so they decided to give them a re-release. Here they are in all of their brilliance! It seems that with this shoe, Nike threw in all of its major pieces of technology to create something which provides a high level of responsiveness. If you opt for these shoes, then you can be sure that they are helping you to develop your game in every possible way. 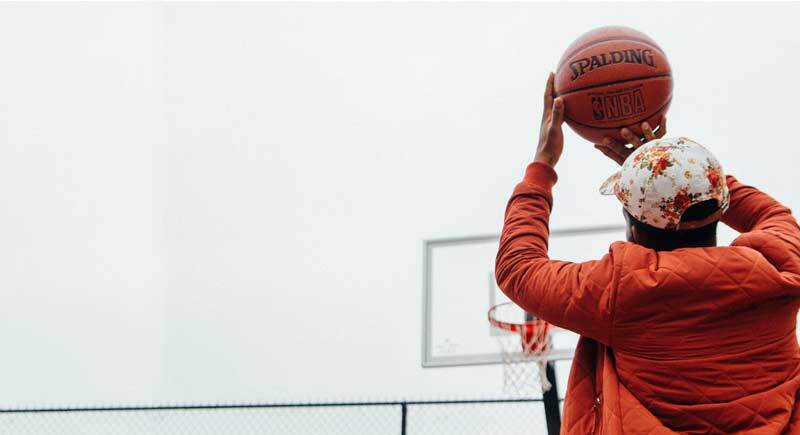 With the sports shoe market flooded with numerous basketball shoe brands and designs, choosing the good outdoor basketball shoes can be an overwhelming task. It’s quite possible to be tempted by a colorful pair with all the signs of a tough shoe and a fancy brand name only to end up with torn uppers or split soles the first time you hit the court adorned in your new shoes. So how exactly do you find a pair of outdoor basketball shoes that is right for your needs and budget? Here are some of the key factors to consider before you make that crucial purchasing decision. What Type of Basketball Player are You? What most people don’t realize is that your personal playing style plays a key role in the type of basketball shoe you choose to invest in. Let’s look at some of the most common types of players and the kind of shoes that suit them best. The Power Player: This is the kind of player who’ll need stability and perfect cushioning in a pair of outdoor basketball shoes. To enjoy the benefits of cushion and stability, you may need to play in a heavier pair of basketball shoes. The Fast Player: This type of player has speed in mind at all times. If you are a fast player, go for a lightweight pair with moderate support, flexibility, and good cushioning. A lower-cut or low top type (more on shoe cut types shortly) is often a perfect choice. The All-round Basketball Player: This is the kind of player who needs basketball shoes designed for both strength and speed. In this case, you’ll do well in a pair with moderate ankle cushioning and support. You have a wide choice of lightweight shoes to choose from. In a nutshell, find a pair that suits your playing style to boost your performance. This brings us to the next crucial aspect of outdoor basketball shoes – the shoe construction. What is the Difference Between Outdoor and Indoor Basketball Shoes? Well, you can and still play your game but the indoor basketball shoe will have an adverse effect on your performance and comfort. This why sports experts and experienced players recommend that you always use a different pair of basketball kicks for indoor and outdoor courts. You can read this article about the low top basketball shoes so I am not going to talk about the same thing here again! The outdoor court is most likely made from asphalt or concrete while the indoor court could be designed from hardwood. The outdoor court is more demanding, stronger, and rougher than say a hardwood indoor floor. You need an equally strong pair of kicks to deliver optimal performance. Having a good understanding of a basketball shoe construction will help you to identify features that are crucial in your shoe selection. Here are some of the most important basketball shoe construction features to check before you choose one that meets your playing needs. We all know what a shoe upper is – that soft upper part of the shoe. The upper plays an important role of keeping your foot snugly secured in place while you are playing. 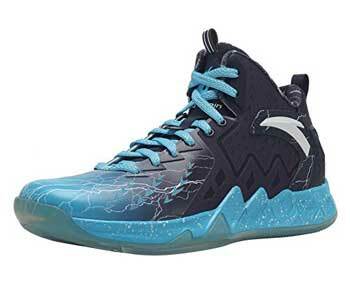 It goes without saying that the best basketball shoes for outdoor courts should be designed using strong uppers with sufficient cushioning to ensure that you play comfortably regardless of the tough demands of the game. Basketball sneakers are categorized into 3 types depending on the shoe’s upper, namely high tops, mid tops, and low tops. Knowing which type of shoe cut feels most comfortable is important in your search for the right basketball sneakers. High Tops: Most outdoor basketball players, close to 70%, prefer high tops.This is mainly because high tops offer maximum ankle support and stability. 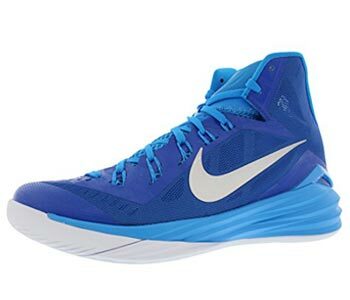 Mid Tops: Mid tops have uppers that reach ankle level, unlike high tops which rise above the ankle.This type of basketball shoes is preferred by players who feel somehow restricted by high tops. It is a good choice for those who rely on speed as their greatest playing asset. Low Tops: Not so many basketball players who use outdoor courts use low tops.It is said that only 10% of players wear low tops when playing on outdoor courts. Low tops are lighter and do not provide as much ankle support as high tops do. Gone are the days when the best Adidas basketball shoes were made of an all-leather upper. 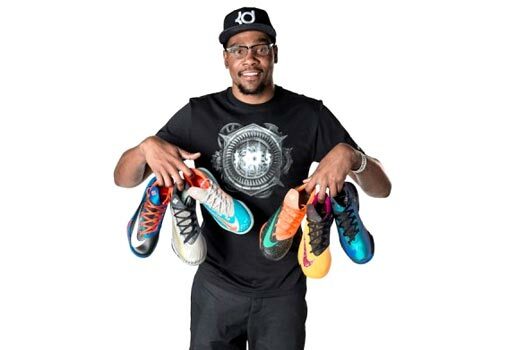 Today, basketball shoes are made using a combination of different upper materials to make them lighter and durable. today it’s all about a perfect mix of stability, breathability, and flexibility besides durability. The best basketball shoes outdoor are made using a mix of leather for strength and synthetic materials that provide breathability and comfortable cushioning. Synthetic uppers which are even more durable than leather have become popular. They not only provide great stability but are super light-weight too. How About the Shoe’s Closure System? Playing basketball on the tough outdoor terrain requires a higher level of stability than when you’re playing on a smooth indoor surface. You’ll need to keep your feet snugly secured in the shoe using a good closure system. You won’t manage those quick turns, sudden stops, and starts, or fast side-to-side maneuvers with loosely held straps or laces. A good lacing system should have lock holes to prevent the laces from untying or loosening. A majority of basketball shoes feature straps for added stability while others have zippers covered by some form of protective materials. There are even Velcro closure systems but these are mainly for young children and hardly reliable for outdoor basketball players. A Velcro closure system does not provide good support. This is the inner soft layer of shock-absorbing material that lies between the outer sole and the shoe’s upper. 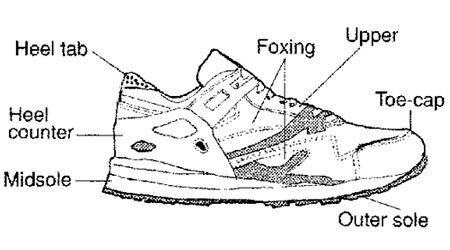 It is a crucial part of the overall construction of the shoe because its ability to provide sufficient cushioning and shock absorption can significantly affect your performance. A good midsole should be made of a combination of polyurethane and EVA or compressed EVA materials. The outsole is the rubber part of the shoe that comes into contact with the hard asphalt or concrete surface of an outdoor basketball court. You can just imagine how critical this section of your basketball shoe is. The outsole should preferably be flat, wide enough to give you a stable base, and ensure that your ankle doesn’t roll over. 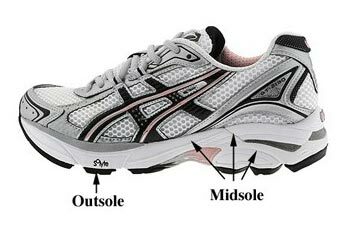 Sneakers designed for outdoor courts normally have heavier outsoles than their indoor counterparts. Most feature a herringbone pattern that provides reliable traction to keep you steady when you make sudden stops and quick starts. The outsole of outdoor basketball shoes should be durable enough to withstand the rigorous demands of the game. A thicker outsole made of superior quality rubber will withstand frequent abrasion and every abuse that comes its way. Comfort, stability, breathability, and durability are important factors to consider when shopping for the best street basketball shoes but size does matter too. Don’t buy a pair of basketball shoes that fit you tightly or you may end restricting your movements while playing. It goes without saying that trying to play in a shoe that’s too big for your feet is a potential ingredient for injury. You are very likely to slip out of the shoe while running and fall. Choose a good pair of outdoor basketball shoes that’s right for your size. You need to remember that this is not a ‘definitive’ list of every quality basketball in existence. In our opinion, it would probably be close to impossible to put together a list like that. Instead, when you read through these reviews, think of these shoes as being among the best of the best. Our guide covers the breadth of basketball shoes on the market. We have left no stone unturned. Therefore, if you end up picking a shoe from this page, and we seriously suggest that you do, then you can be sure that it is of a high quality. No ifs or buts about that! These shoes are great. You are going to love them! Remember; we know that new shoes are coming out all of the time for basketball players. So, we will try to update this list of the best outdoor basketball shoes as regular basis. Therefore, if something does not tickle your fancy right now, bookmark this website and return. You never know what you will be able to uncover in the future! Looking for a Basketball? Have a look at this guide! Superb post! Great information you imparted to us, I’ve generally quite recently worn b-ball sneakers till the end, yet of late, I’ve felt knee torment now and again after the amusements. (Don’t know whether it needs to do with the shoes) The match I have today, I’ve played in for the last two summers, low utilization. (1-2 times each week amid spring and summer) I think its opportunity to supplant them, I will investigate the hyperdunks or D.Rose shoes. Thanks for your great struggle on this post. Wealfeet! Your article will actually heal many feet. So much info at one place is a real treat at a time when people are only concerned for bucks from their works. You have really worked hard in bringing down all the information regarding basketball shoes which anyone can understand and implement before going to buy one. The shoes are the only safe-guards which will save you from the injuries that prevail on the court surface. Thank you for giving us your valuable opinion. We always try to provide detailed information on each article. Our main concern is giving a perfect guideline to our visitors.